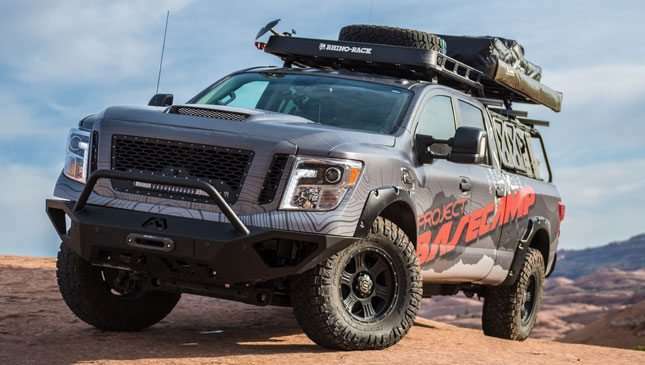 Based on the Titan XD PRO-4x, this pickup is designed for what's known as overlanding, which is basically self-reliant land travel and camping to remote destinations. 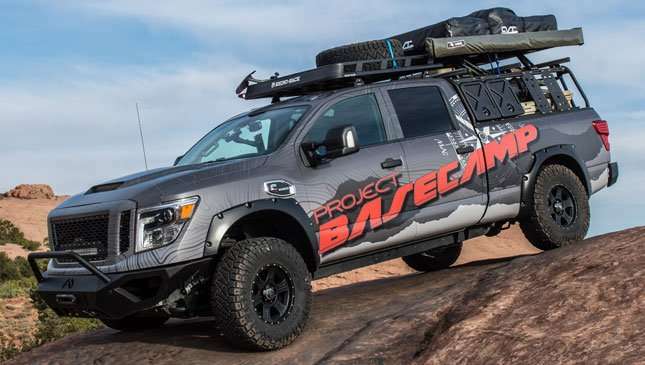 Project Basecamp is essentially a self-sustaining camping ground on four wheels. 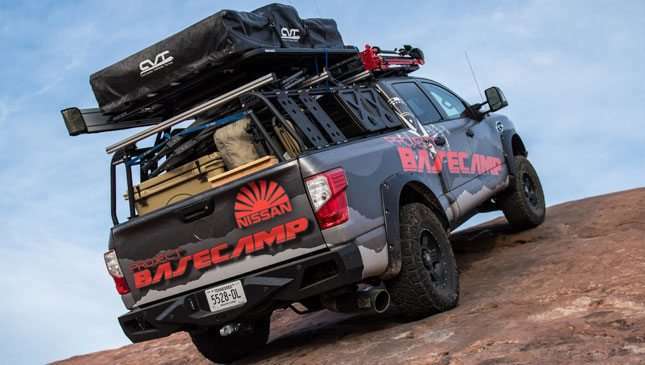 "Overlanding is an exciting form of outdoor adventuring, taking participants into sometimes extreme terrain and climate conditions," said Fred Diaz, division vice president and general manager, North America trucks and light commercial vehicles, Nissan North America. 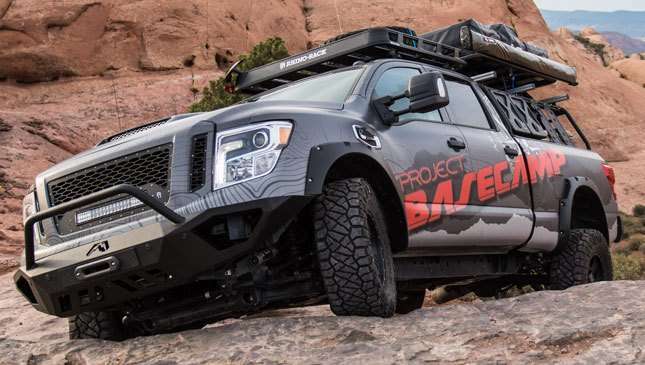 "We're using the Project Basecamp to showcase the Titan XD PRO-4X model's potential as the perfect platform for truck owners thinking of taking their adventures to the next level." 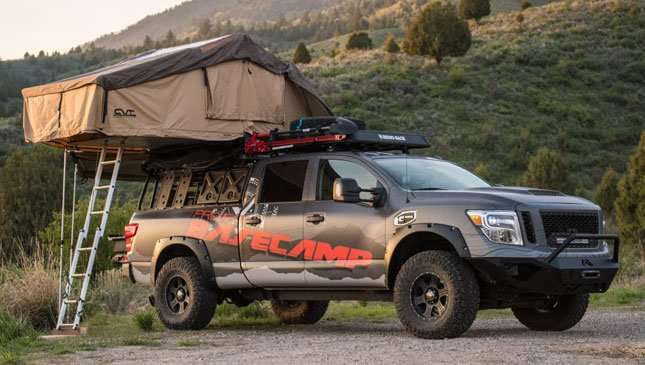 Project Basecamp sports quite a few changes (over 60 aftermarket parts and accessories) that make it capable of surviving anything nature might throw at it. The tires have been replaced with 17-inch off-roaders attached to aluminum alloy wheels. 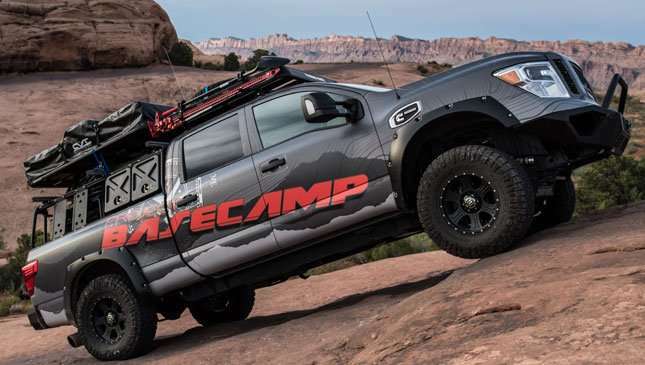 A three-inch lift kit provides extra tire clearance, while the suspension gets added goodies like air springs and an air-leveling compressor. 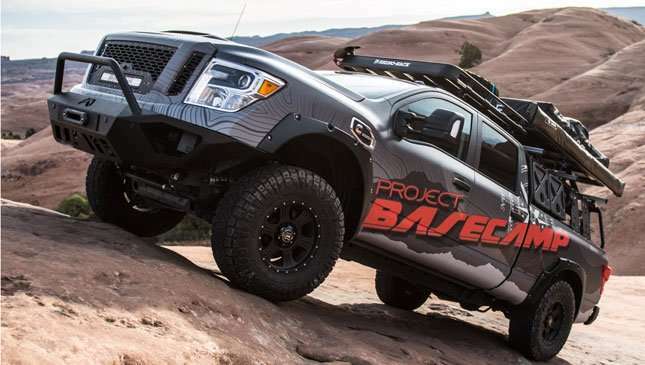 Other exterior changes include custom bumpers and hood, a light bar with chase lights, and a winch system. 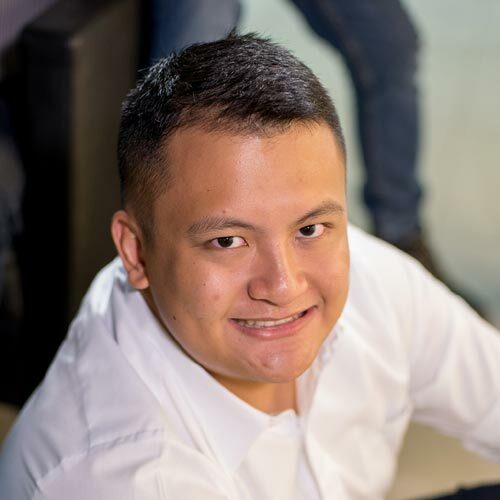 Survival essentials on Project Basecamp include a bed cage, a rack system, a tent set-up, a portable fridge and freezer, plus water canisters, fuel packs, and an emergency kit. 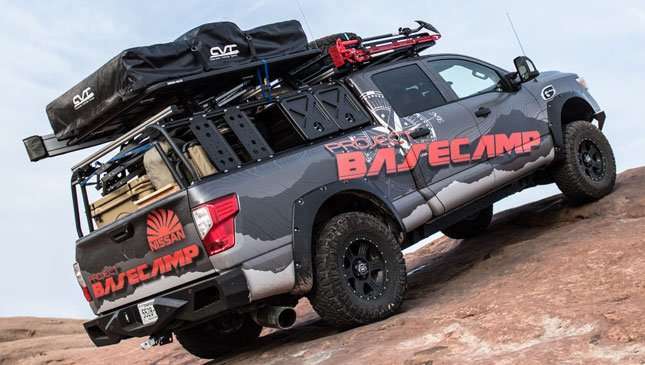 The pickup also comes with a custom trailer capable of carrying two-thirds its own weight. 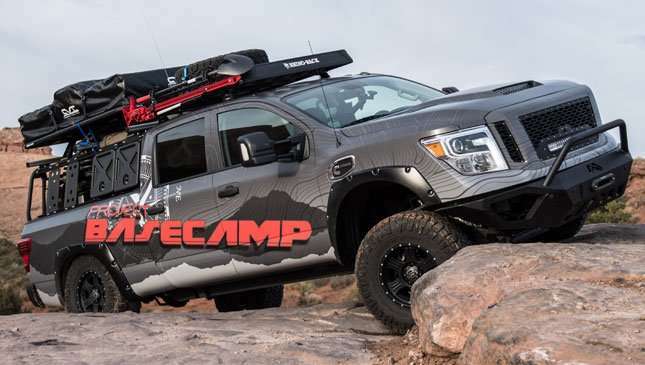 Hauling the truck and all its gear is a Cummins 5.0-liter V8 turbodiesel capable of 310hp and a powerful 752Nm. 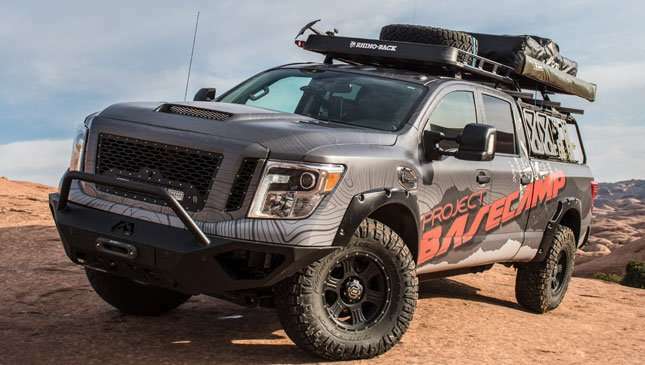 Adventurers, what do you make of this badass pickup?